Here I am sharing with you best English & Urdu Dictionary and Translator app for students, teachers, professionals, travelers, learners, Kids, business mans and players. It is complete offline English and Urdu Dictionaries. 100% free Offline dictionary and work like English to Urdu translator. It is a free app, Internet permission is required for text translation, for online dictionary, Internet required for downloading Jameel Noori Nastaleeq font. You can learn English and Share English & Urdu Dictionary app with your friends. With the help of this app you can find meanings of English words in Urdu, find meanings of Urdu words in English. You can search word meaning in native English like (Kasy ho, Pyar, Hum, tum, boht… etc. 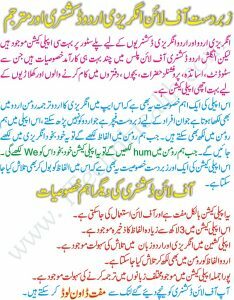 Urdu to Urdu Lughat offline is added contain 200,000+ words with detail meanings and information. You can translate whole paragraph to any language that you want using this Translate app. You can learn all about basic English grammar, vocabulary, phrases, tenses, conversation. Five Dictionaries and two Language Translators. English grammar, vocabulary, phrases, tenses, conversation. 305,000+ English Urdu Words Meaning. Fully Offline Dictionary and Online Dictionary. Auto Suggestion Word for both English Urdu. British & American English Speaking Words. Simple and Built-in Urdu Keyboard.